Forbes recently named the Cincinnati-Middletown area the top up-and-coming city for college leavers, given the huge number of openings for graduates and a vibrant job market. 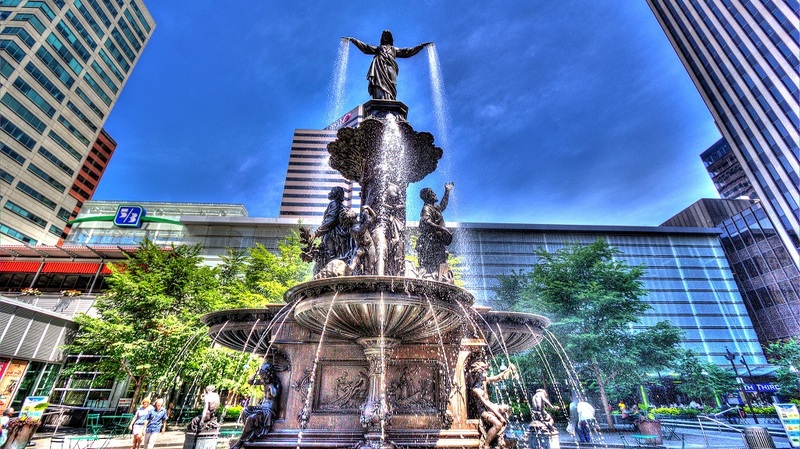 The city is also an emerging food and drink capital: approximately 500,000 people attend Taste of Cincinnati annually, making it one of the largest street festivals in the United States. Key neighborhoods include foodie central Over-the-Rhine; European-style Mount Adams, full of young professionals and artisans; exclusive Indian Hill; well-educated Hyde Park; and family-oriented suburb, West Chester. Travel + Leisure has named Cincinnati, OH one of the 50 Best Places to Travel in 2017! "Putting together our annual list of the best places to travel is a process that takes several months—we survey writers based around the world, talk to our A-List travel specialists, and look at the most exciting hotel and restaurant openings. While news and global events have a large impact on the places we choose, we also pay attention to cities that are worth revisiting: Philadelphia, in particular, may surprise you with the amount of growth and development it has seen in recent months. North America made a strong showing on this year’s list—more than a quarter of these places are within reach for a long-weekend trip from the United States. We know that people will travel far and wide for incredible food and drink, which is why that was a key factor in our decision-making. In 2017, you’ll want to head to Jerusalem for its exciting Levantine food, Oslo for its coffee culture, Belgrade for craft beer, and Valle de Guadalupe for coveted Mexican wines. While beach vacations are timeless—you truly don’t need much more than a comfortable resort, warm waters, and a good book to read—tack on a bit more time if you’re visiting these places: Tofino, in British Columbia, has a wild food scene; Honolulu will host its first arts biennial this year; and Málaga has amazing hidden museums. Technology and globalization can make the world feel small and thoroughly explored. But there are always places to discover—and rediscover—for yourself. Take a look at last year’s list for additional inspiration, and share your own picks with us on social media using #TLBestPlaces." Click Here to see the other 49 places that made the list!